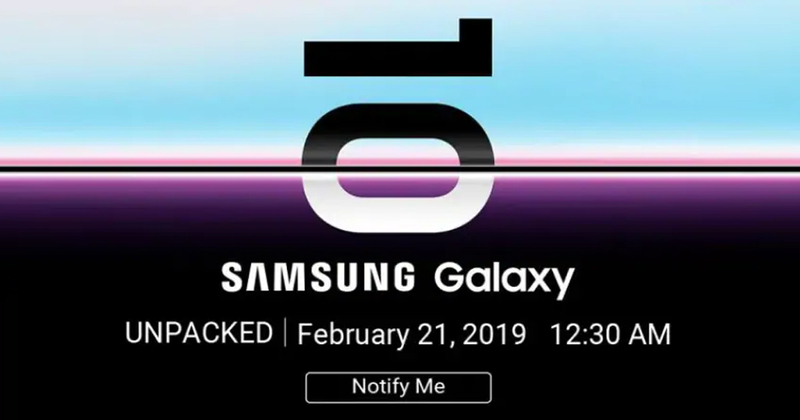 The suspense of the Galaxy S10 series is going to come to an end as Samsung discloses the Galaxy S10 series and the foldable smartphone in San Francisco at its Unpacked event today. As all journalists come towards the Gulf for a big event, we build on the propaganda and make a part of all those things which we have so far known about the smartphone. The Samsung Galaxy S10 series is speculated to come in three variants. The cheapest and the smallest the Samsung Galaxy S10e with a 5.8-inch display, the Samsung Galaxy S10 vanilla with 6.1-inch display variant and the Samsung Galaxy S10+ with 6.4-inch which is the most premium variant. The company is also planning to launch its very first foldable smartphone at the event along with the Galaxy S10 series today. The Unpacked event of Samsung Galaxy will start at 11 am local San Francisco time today i.e. 13:30 IST on February 21, 2019. The event will be live on the official website of Samsung where all the details of the smartphone will be disclosed. The Samsung India website for the interested customer is taking pre-registrations for the smartphone so that the interest of the market can be assessed. From last week, for the ‘next Galaxy flagship’, the US website of Samsung started taking registrations. All the customers who have registered the phone will get a cashback on the old smartphone of up to $550 and credit of $50 for purchasing accessories. The pre-orders will start tomorrow and the shipping will start from March 8, 2019. So wait until the event what Samsung has in its pocket to give their customers. 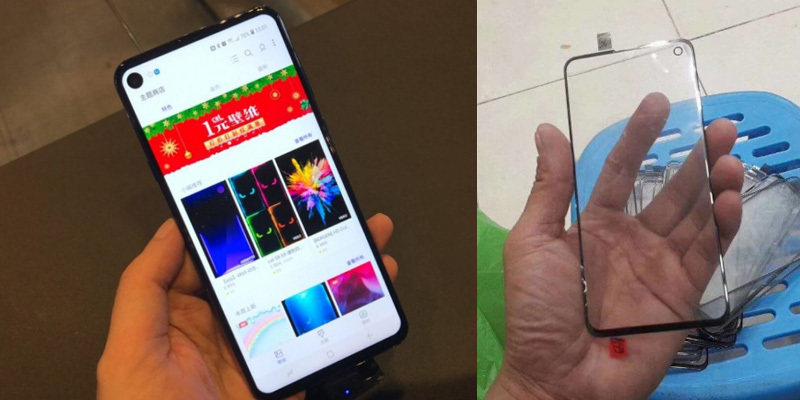 Samsung Galaxy S10 protective glass leaked! The recent leak of the Samsung Galaxy S10 suggests that the phone will have a camera punch -hole and it will be a lot smaller than the previous leaks. The leaks also confirm that there will another phone named vanilla Galaxy S10 version. Which will be the same size as Galaxy S8 having 6.1 inches diagonal. Also if one can remember a tweet from the Ice Universe back in June 2018, it showed up the upcoming galaxy S10 with tag design beyond. At that time, it was way too much ahead of our thoughts of a full-screen smartphone having a selfie camera within the screen itself. As per the reports, the SM-G975F might come with 6.4-inch display and a 19:9 aspect ratio. And the other two models might have single, dual and triple camera variants. In October, for certification, the Galaxy S10 intentionally reached the China Ministry of Industry and Information Technology (CMIIT). The list of CMIIT disclosed the new flagship with model numbers SM-G9700, SM-G9730 and SM-G9750. However, the Galaxy S10 with model numbers SM-G970F, SM-G975F, and SM-G973F appeared in September. Have a look at another tweet which showcases Galaxy S10’s 3D Glass screen as shared by the Ice Universe through the tech blog Weibo. It must be noted that the credentials of their leaks are well strong and so it is worth for the attention. The front-facing selfie lenses and sensors may be hidden under the display glass either through a semi-opaque lens hole or ‘removable’ pixels that deactivate to disclose the camera’s sensor beneath. This will make the smartphone edge-to-edge phone screens which will not have bezels. The smartphone will come in various color options- black, white, yellow and green. Along with the new screen design, the Samsung Galaxy S10 will most probably come with a next-generation 9820 processor with an integrated neural processing unit for enhanced AI. FoD, that is, the fingerprint technology under the screen. UPS, under-screen sensor (including camera) technology. HoD, the touch-sensitive touch-sensitive technology. These points means that there will be a built-in fingerprint scanner, a built-in speaker, improved haptic feedback for gaming and latest face ID technology. Till now the most interesting revelation is UPS (Under Panel Sensor). UPS functionality will be for the camera and iris scanner technology which will be under the display. If Samsung’s UPS technology works, then the rest of the industry will adopt it which will result in the death of notch designs monopoly on the flagship of devices. Till now Samsung has not yet confirmed the dates of when the smartphone will be launched but the South Korean company might launch it in its 10th anniversary. So the people who are waiting out there have to wait and see what Samsung has in the surprise. Another report recommends one or more variations of the Samsung Galaxy S10 could offer a 12GB of RAM and 1TB of inbuild space. The upcoming Galaxy S10 has a massive amount of memory and space would be saved for the Plus and additionally 5G models. At present, the Samsung Galaxy Note 9 offers Samsung’s ultimate memory/ space options 8GB and 512GB respectively. Infinity O Display For Front- Camera Will Be Available on Upcoming Galaxy Galaxy S10 Lite, S10, and S10+. Samsung, the South- Korean giant has started working on its flagship smartphones Galaxy S10 Lite, S10, and S10+. All these devices will come with Infinity O Display along with Super AMOLED screens, while the Samsung S10+ will have dual sensors on the front side, so the cut-out display will be a slighter different from other two devices. Ice Universe which is famous for revealing the information of Samsung devices has confirmed that the Infinity-O display for front- camera will be available in the upcoming Samsung Galaxy devices. A display hole is to be positioned on the top left corner of the device for the selfies and video-calling. By offering under- display front camera, Samsung would be able to reduce the size of the top bezel in order to compete with other smartphone manufacturers but providing a display- hole on the top left corner where the notification messages arrive will not going to impress everyone. The Galaxy S10 Plus is likely to come with dual front sensors under which the company might offer single hole or dual under the screen which left no space for facial unlock feature so Samsung eliminates Face ID in S10Plus.